I have an external disk drive of 2TB with two partitions, one NTFS and another with FAT32 format. 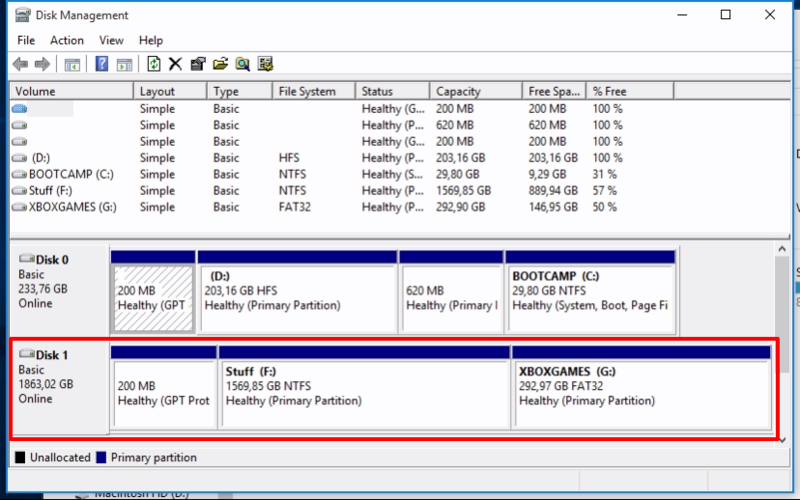 The NTFS partition is automatically mounted when i plug the device using Paragon NTFS but I don't know how to mount the FAT32 partition. ^ Thats how to mount fat drives/partitions in Mac OS, also useful for single user mode recovery. Note I think some versions may ship with "mount_msdos" as opposed to using "mount -t msdos" but I haven't used enough to say for sure. Try "diskutil mount /dev/disk1s2" in terminal (without quotes) and it should mount that drive for you. Not the answer you're looking for? Browse other questions tagged hard-drive partition external-disk ntfs fat32 . How to create several partitions on an external hard, recognizable by both windows and mac? Apple_Boot partition created on external drive?